Ramaphosa’s government undertook to unbundle Eskom last week in the president’s state of the nation address, which unions, including labour federation Cosatu, said they would oppose. Cosatu has complained it was not consulted about the restructuring plan. In response, they threatened heavy strike action this week. Cosatu also plans to march to parliament when Finance Minister Tito Mboweni delivers his budget speech. 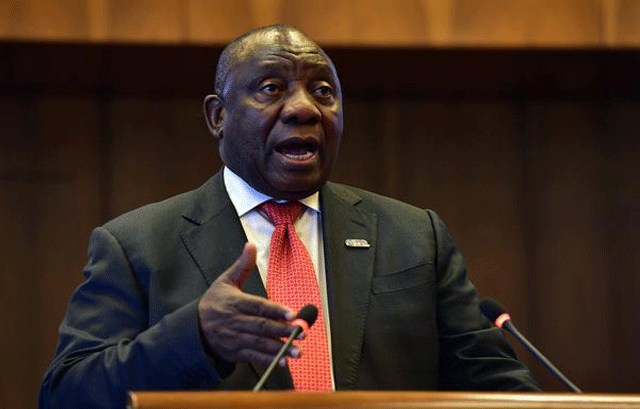 Speaking at the 32nd African Union heads of state summit on Monday afternoon, Ramaphosa said he was shocked and “quite angry” at the state of Eskom. He said the solutions he and his government were charting would probably be difficult and painful, but the South African population would have to bite the bullet. He added that the time of people getting away with not paying for a service and resource such as electricity would have to end. “If we want Eskom to survive, we have to pay for the electricity we use,” though he added government would continue with programmes to subsidise electricity for the poorest. He said the news that six generating units at Eskom were out of order or tripping was “most worrying and disturbing”. The president, however, expressed confidence in Public Enterprises Minister Pravin Gordhan’s work with the Eskom board, but that it would be important to stop relying entirely on Eskom for all the country’s power needs. A new business model would be needed to prevent having “all our energy eggs in one basket”.